All of these issues can cause serious, life-altering injuries or even death. In these cases, patients have a right to get compensation by pursuing a negligence or malpractice case. Here are some cases involving ER negligence in Illinois that illustrate how much you could recover by seeking justice in a medical malpractice case. This incident began joyfully with the birth of a child in an Illinois emergency room. Doctors reviewed the conditions of the mother and infant and cleared them for discharge. What they failed to realize, however, was that the mother was suffering from preeclampsia, a condition found in women during late pregnancy that is characterized by high blood pressure. After she returned home, the issue worsened, and she suffered seizures that led to brain damage and her subsequent death. Her estate sued the operators of the ER for negligence. Their suit alleged that they failed to check her condition prior to discharging her, failed to check with her obstetrician, and failed to perform tests that might have stopped this from occurring. The defendants denied all liability, but fearing a sympathetic jury and defeat in court, they sought a settlement. The woman’s family received $6,900,000. In this case, the doctors guessed wrong and it cost the patient her life. She went to the emergency room with back pain, a fever, and other related symptoms. The doctors diagnosed her with a viral infection, prescribed a course of treatment, and released her. She actually had a bacterial infection that progressed into toxic shock syndrome and caused her death not long after her ER visit. Her estate sued for medical malpractice and wrongful death. The defendants argued that none of their actions caused any of her injuries, including her passing, but the jury disagreed. They found that the defendants’ conduct was the proximate cause of her death and awarded her estate $1,500,000. After gastric bypass surgery, a 47-year-old man began to suffer from severe abdominal pain. He went to the emergency room to receive treatment, but the doctors could not find anything. Unfortunately, they missed the fact that he had a bowel obstruction, which is common in people who have recently had gastric bypass procedures. This situation involved a 40-year-old woman who went to see a doctor in the emergency room when she started to develop headaches, dizziness, nausea, and general body fatigue. The residing physicians examined her and discharged her, finding nothing wrong. What they missed was that she had a subarachnoid hemorrhage. Complications from this hemorrhage left her brain permanently damaged and would require medical attention for the rest of her life. She sued the hospital for damages. Her lawsuit claimed that they should have caught this issue and that if they referred her to a specialist, ordered multiple CT scans, and otherwise provided proper care, her health might not have deteriorated to the extent that it did. The defendants sought to settle without admitting responsibility. They gave the plaintiff $4,900,000 for her injuries. Here, a middle-aged man went to the emergency room when he was experiencing dizziness, numbness, slurred speech, and high blood pressure, among other symptoms. His doctors decided to release him without giving him a neurological consultation or any medication. The man later suffered a stroke, and in the subsequent lawsuit, he alleged that it began or at least was present while he was the ER. He suffered several injuries from the stroke, including disfigurement, disability, and long-term pain and suffering. He would have to walk with a cane following the incident. The defendants openly agreed to the fact that they breached the relevant medical standard of care; therefore, the sole issue at trial was the amount of damages appropriate for the plaintiff. The jury decided that $1,328,000 was fair. The patient in this case was brought to the emergency room with pain in his groin and the sacral region of his spine as well as bedsores. ER doctors suspected that he had an infection, so they decided to operate. Unfortunately, he died during the procedure. His estate sued for negligence, arguing that the physicians failed to provide proper medical care. The defendants countered that the patient’s medication for alcoholism defeated his immune system and made his death inevitable. Also, they replied that his hypertension and diabetes might have contributed to his death. The jury sided with the decedent and awarded the estate $1,000,000. 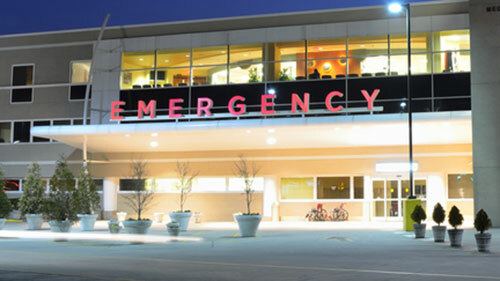 In their opinion, the deficient care of the ER staff was the main factor in his death.